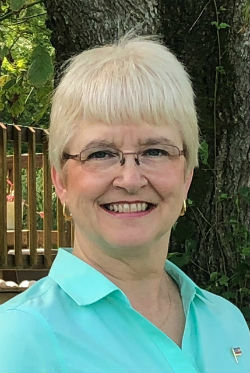 Madison County resident Annette Hyde announced her candidacy today for the 24th District State Senate seat in 2019. This is Hyde’s second run for public office. She sought the Democratic nomination for the 30th District House of Delegates seat in 2017, but narrowly lost to Ben Hixon at the nominating convention. While campaigning last year, she discovered that not only was health care important to voters, but also the lack of reliable, affordable, high speed Internet, especially outside of town limits. Hyde said that politicians talk about the problems with rural Internet, but don’t provide actions to address it. She believes it’s time to stop talking about the problems and move forward with real solutions and implementation. “It’s an approach that I’ll bring to all challenging issues,” she said. Other issues in her platform are keeping public money in public schools so all children receive the best education possible and finding ways to make health insurance more affordable to those who don’t qualify for subsidies on healthcare.gov. “Health insurance premiums shouldn’t cost as much as a mortgage,” she said. Hyde has a BA in communications/journalism from the University of Texas at Arlington. She has been a yoga teacher for almost 20 years and has two adult sons. Emmett Hanger has been the 24th District senator since 1996. The district includes Augusta County (plus Staunton and Waynesboro), Greene and Madison counties and parts of Culpeper and Rockingham counties. Hyde will be the first Democrat to run for the seat since 2007. All General Assembly seats will be up for election in 2019.